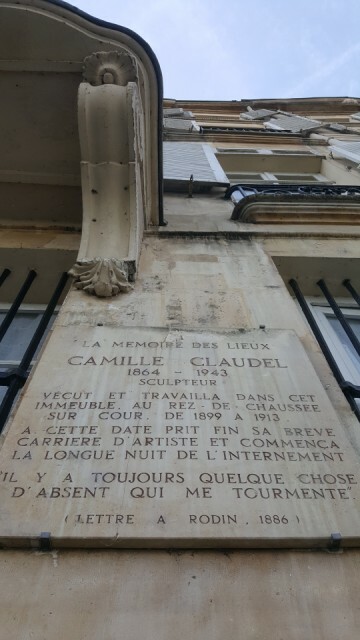 This very moving plaque commemorates Camille Claudel, the sculptor who lived and worked at 19, quai Bourbon on île Saint Louis from 1899 until she was institutionalized (unnecessarily and against her will) in 1913 and for the next 30 years. It would be a great spot for a museum devoted to her work... just saying. There is a room at the Rodin Museum with many of her pieces and she does have her own museum now too, but it is in Nogent-sur-Seine, a train-ride from Paris. I took the long way around île Saint-Louis to walk along the lovely quai Bourbon this morning, on my way to the library.